Soils develop into layers. These layers, called horizons, are usually seen along road cuts and other areas where a cross section of the soil is exposed. In a hypothetical situation, there are four soils horizons in a soil profile. The thickness of each layer varies with location and conditions. In a “disturbed” condition not all horizons will be present. By studying soil profiles, scientists learn about the soil, its characteristics, and how to use it properly. Most soil profiles have a surface layer of organic material and two or three layers of mineral materials. These are called the horizons of a typical soil profile. The uppermost horizon is called the “organic” horizon or “O” horizon. It consists of detritus, leaf litter and other organic material lying on the surface of the soil. This layer is dark because of the decomposition that is occurring. The organic materials in this layer decompose into nutrients that enrich the soils. Just below the O horizon is “topsoil” or “A” horizon. It is the upper soil layer. Usually it is darker than the lower layers, loose and crumbly with varying amounts or organic matter. Plants roots, bacteria, fungi, and small animals are abundant here, and plants thrive in it. 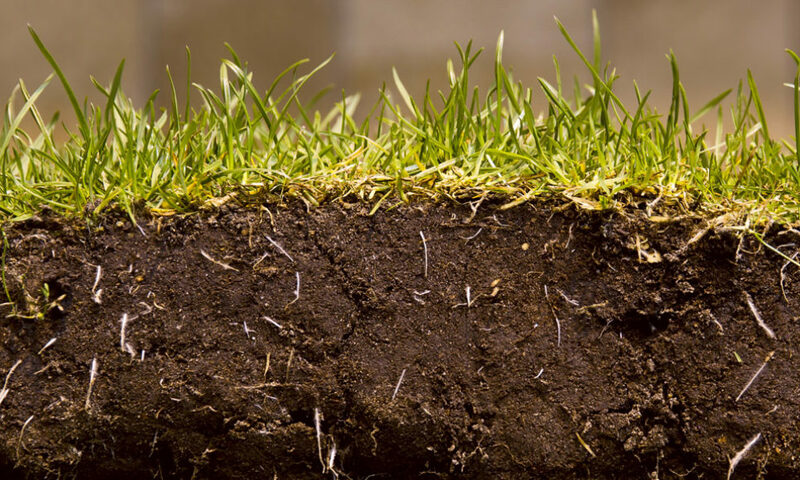 It is generally the most productive layer of soil. Below is the “B” horizon or subsoil. Subsoils are usually light colored, dense, and low in organic matter. The subsoil is a zone of accumulation since most of the materials leached from the topsoil accumulate here. The “C” horizon is the lowest layer. This is a transition area between soil and parent material. Partially disintegrated parent material and mineral particles may be found in this horizon. It is less altered and weathered than the layers above and has less living matter. The final horizon is bedrock or the parent material.